Quite possibly everything related to Christmas is more fun when you have a toddler, and getting and decorating our tree was no exception. It's not that June wasn't fun last year, she was! But being that she was only 10 months old at the time, she wasn't even crawling for us then. She actually started crawling on Christmas day... which was very exciting. Anyway! This Christmas has just been such a sweet season in our lives. 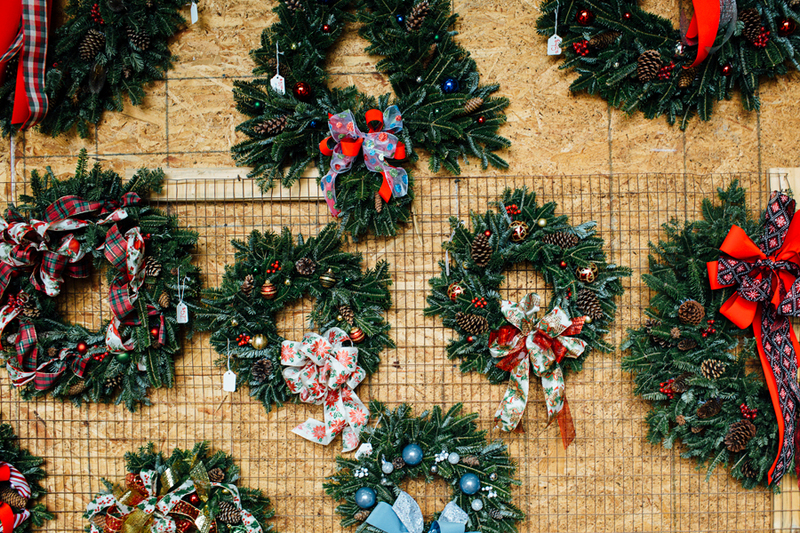 Busy with work, but also filling it up with all the things we love about the holidays. 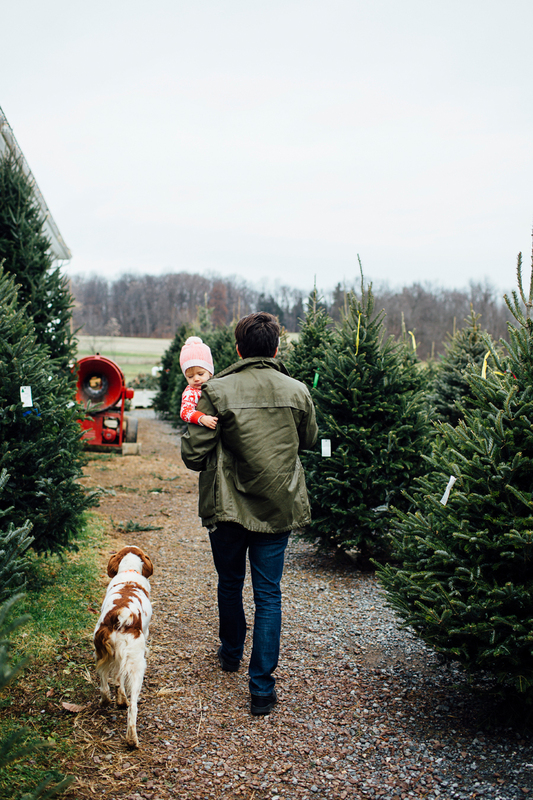 We started off by getting our tree from a little, local, roadside stand here in our small town of Manheim. It was SO. COLD. the day we went to get it. 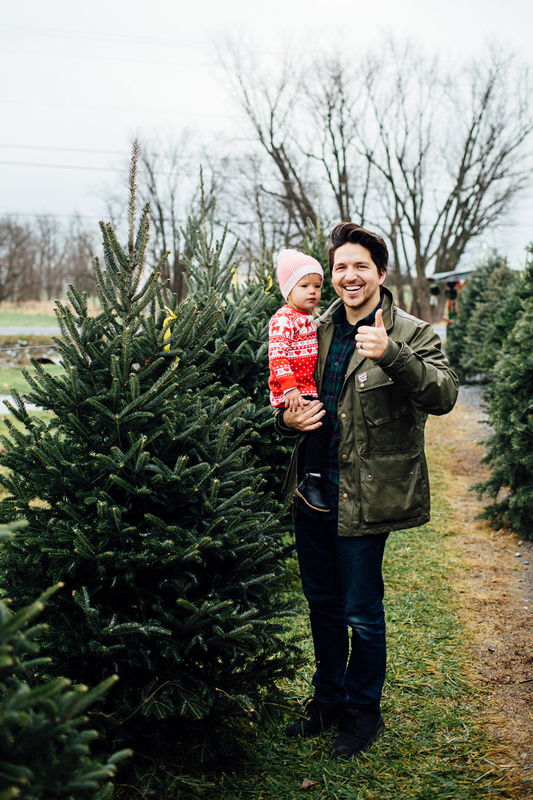 June was turning blue within minutes, so we picked our tree super duper fast. All of their trees were beautiful though! So it wasn't hard to choose the perfect one quickly. 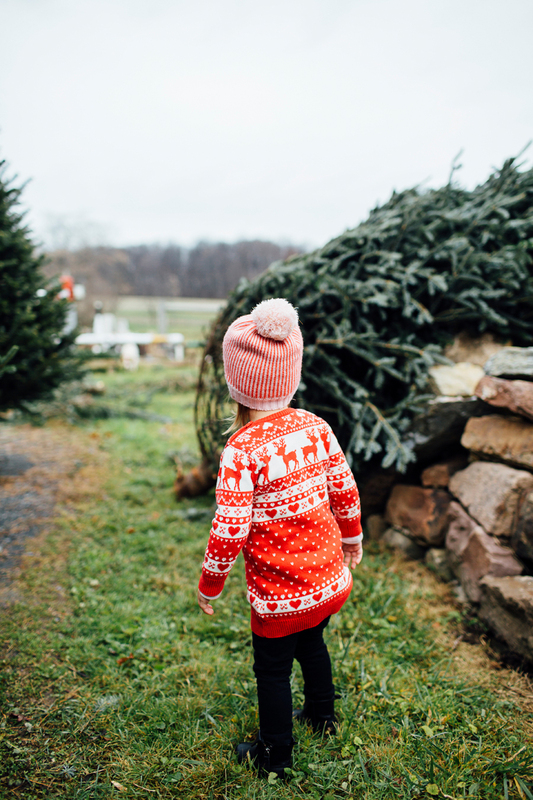 While T.J. paid for our tree and loaded it into the van, June ran laps around their little wreath shop, giggling up a storm. For the last several years, T.J. and I always watch Arthur Christmas while we decorate our tree. But we opted out of that this year because we knew June wouldn't focus with the TV on, or "fee-vee?" as she calls it. We gave June her ornament(s) for the 2016 year and showed her how to hang them on the tree. 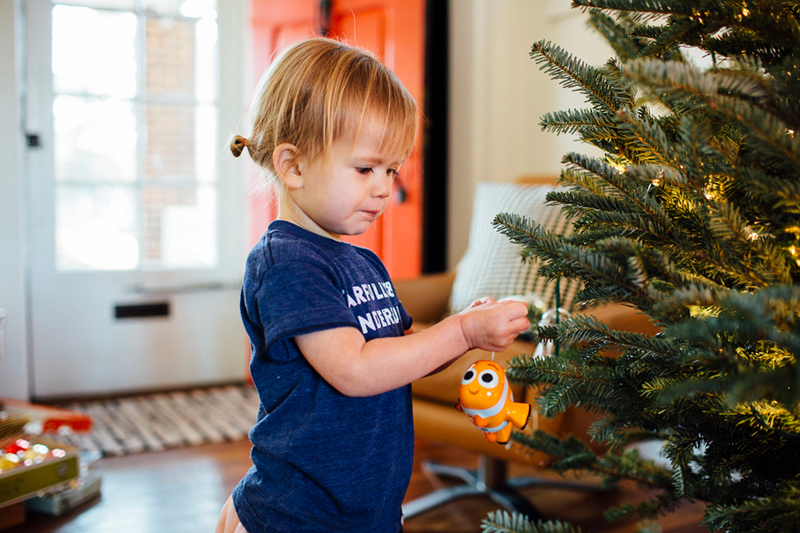 She was thrilled that Nemo and Dory were on her tree. It was precious. Also, note that sweet outfit she's wearing. 😂 We purchased new shoes for her about a week ago cause she's growing like crazy, and she's wanted to wear them ever since they arrived in the mail. She also did not want me to tuck her shirt into her skirt. Bless her. 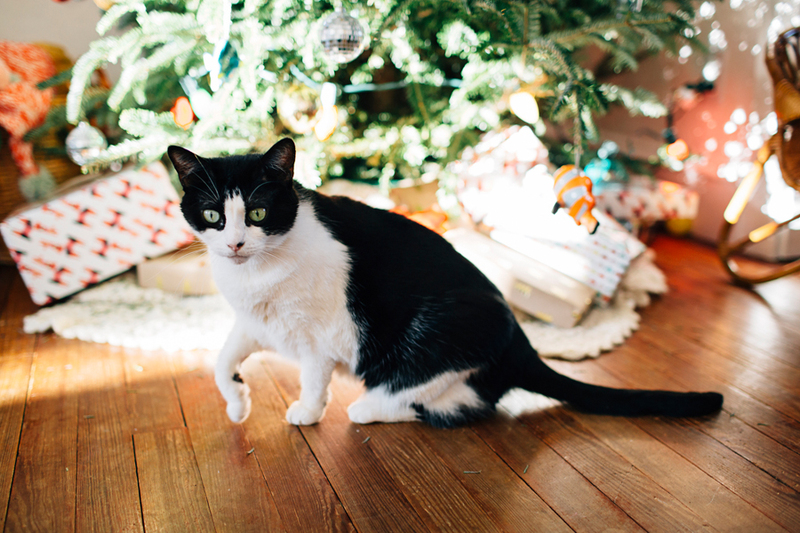 Annnnnd the ornaments came off immediately. She's been taking them on and off the tree everyday now, to play with them or take them in the car as toys. Thankfully they're just plastic and styrofoam, cause she's sent them down her "slide" a few times already. And naturally, I got T.J. a grilled cheese ornament -- because 2016 was the year we started Grilled Cheese Tuesdays. Yes, it is exactly as awesome as it sounds. A different grilled cheese sandwhich every Tuesday night at our house, with friends. When T.J. pulled it out of the box, he said "Ohh this is great. I'll add it to my food section on the tree." We love our little Christmas tree this year and can't wait to open all the sparkly gifts underneath it on Sunday! If we last that long.... cause T.J.'s already given my 2 of my gifts. 😂 He just gets too excited! I love it though. Does your family give ornaments every year? 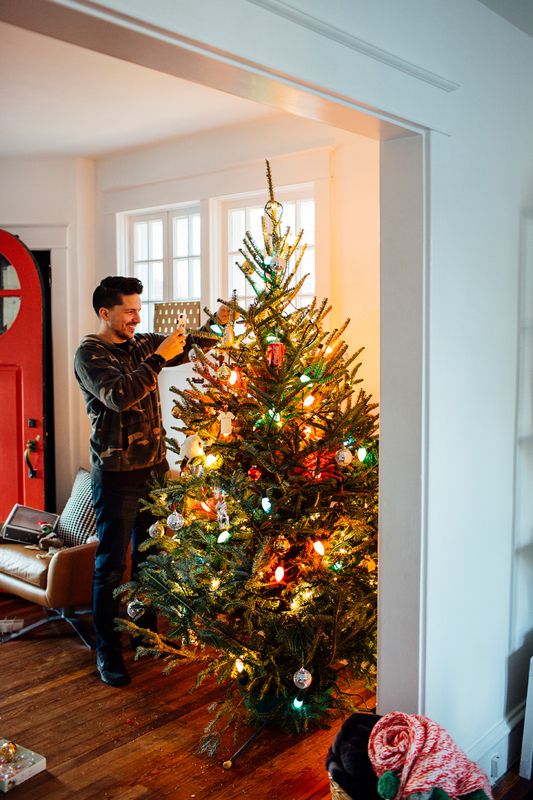 Or do you have another tradition relating to your tree? I'd love to know! Comment to let me know - here OR on Instagram!